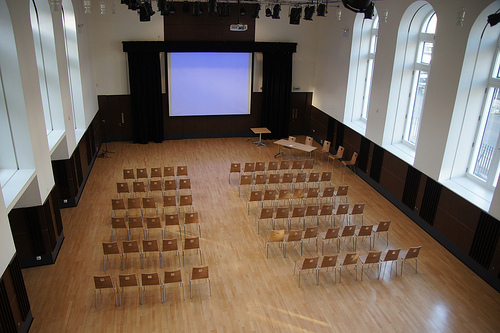 Maryhill Burgh Halls provides a wide range of services and facilities to people throughout north Glasgow. If you're looking for a venue for a birthday party, wedding, conference, classes, or meeting, we can help. Regular lets - at discounted rates - are available for groups and classes. We've hosted everything from christenings to performances from national organisations, and are fully licensed. Get in touch to discuss your own requirements. Our historic Main Hall is bang up to date, and holds up to 220 theatre style, or 140 cabaret style with many flexible layouts. The entire building is fully accessible with level access and lift access to all floors. We have a range of meeting rooms and other spaces available for meetings from 2 to 50. Our outdoor courtyard and Garden Room spaces could bring unique character to your event or party. To find out more click here.